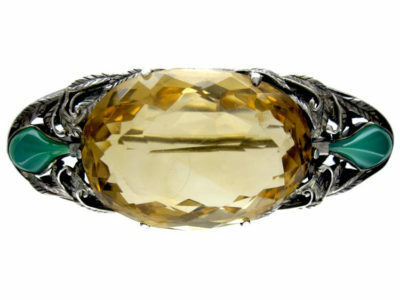 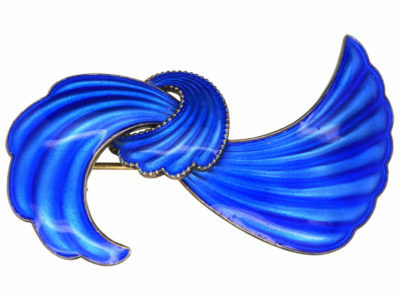 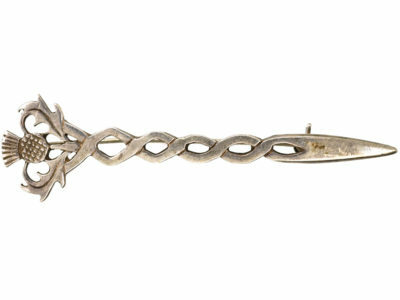 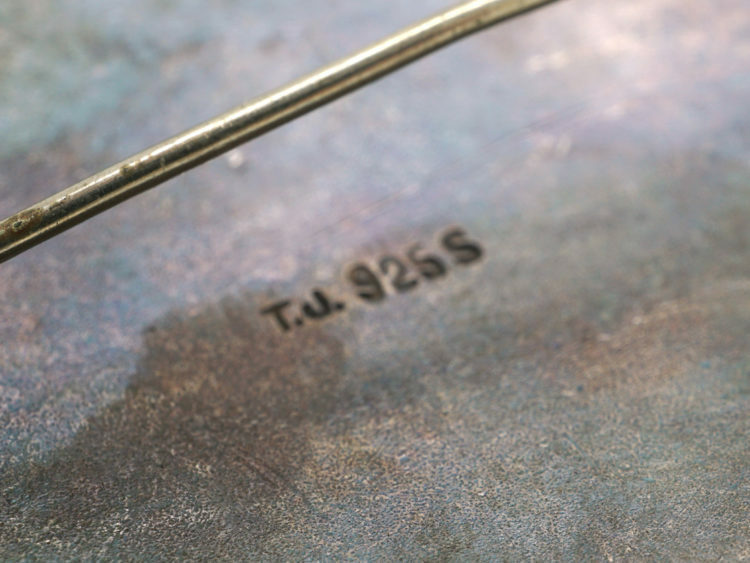 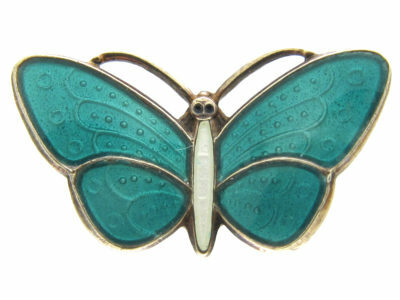 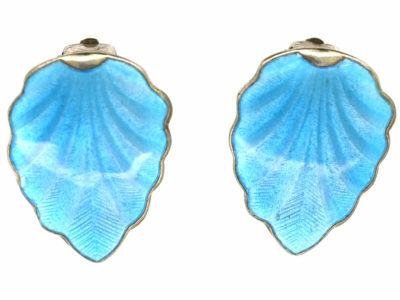 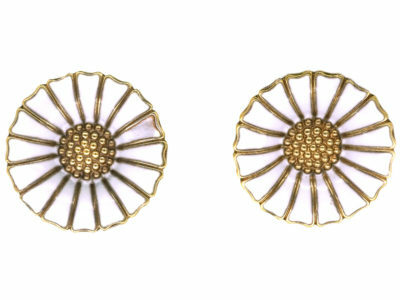 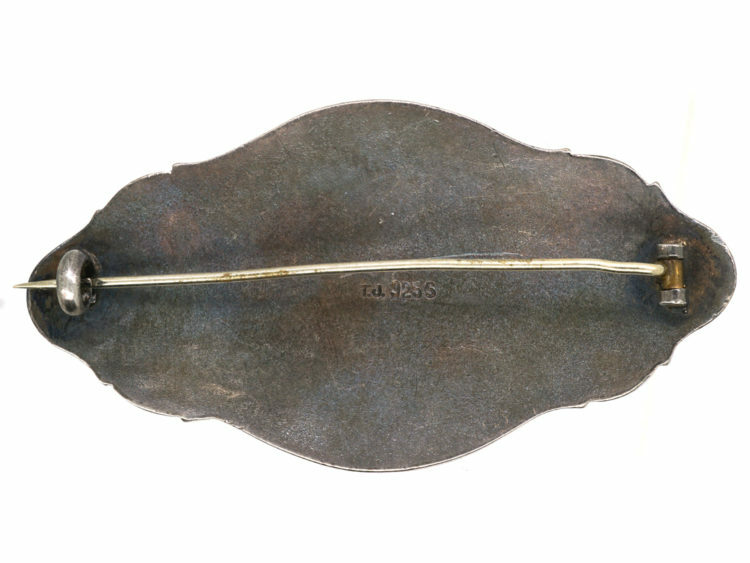 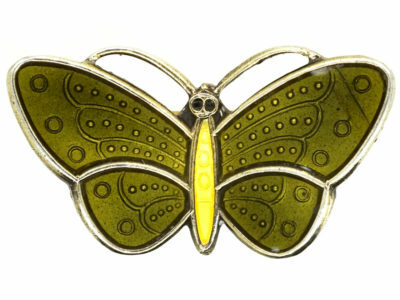 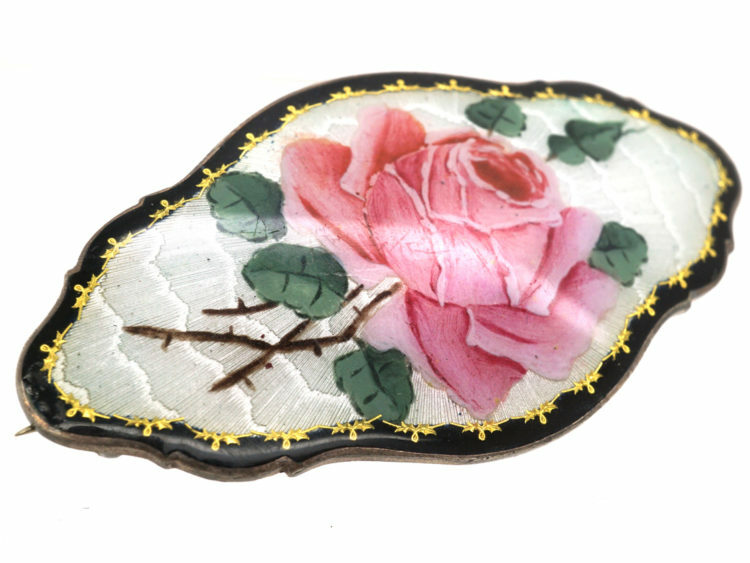 A silver & enamel brooch that is similar to brooches that were made by Gustav Gaudernack. 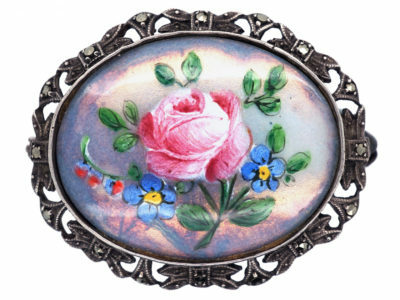 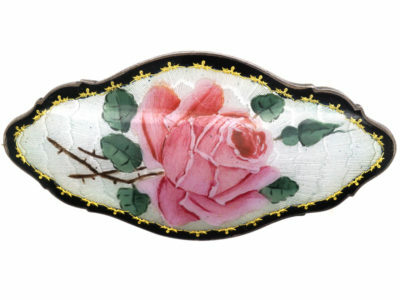 It has highly detailed painting of a rose with translucent white enamel over an engine turned patterned silver base with raised gold detail. 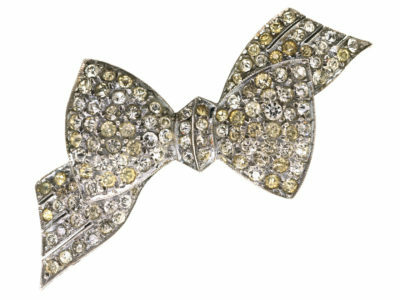 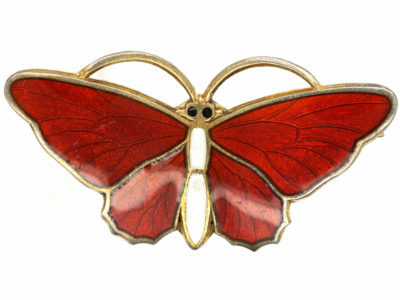 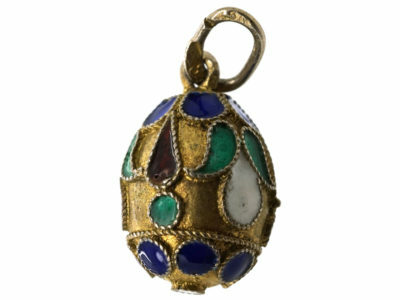 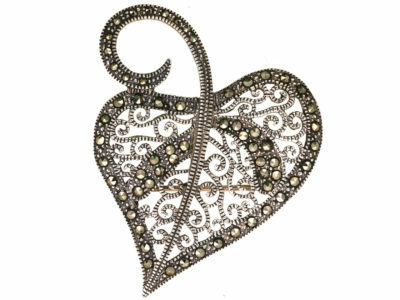 The Norwegians made the best enamel jewellery in my opinion and this brooch is no exception.